Do Ireland's HPSUs deliver for Ireland Inc? I am often asked by startup entrepreneurs what makes a High Potential Startup Company or HPSU? 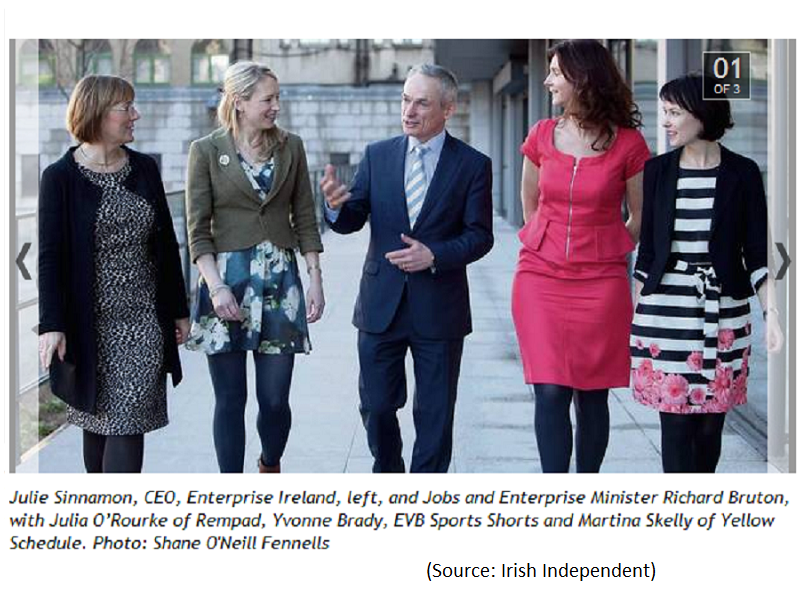 as defined by Enterprise Ireland. While answering this question, I am struck by the fact that I am never asked the follow up question which I have often pondered myself: So how do the companies who are selected as HPSUs get on and do they in general meet their targets. A recent report from Forfas sheds some light on this question. Starting Point : What is a HPSU? The Enterprise Ireland website is very clear on the definition of a High Potential Startup. In essence, HPSUs are start-up businesses with the potential to develop an innovative product or service for sale on international markets and the potential to create 10 jobs and €1m in sales within 3 to 4 years of starting up. In the boom times, I think the definition was verbally communicated as €1.5 million in turnover within 3 years. It really is used as a benchmark to highlight that EI can only support growth and internationally focused businesses involved in manufacturing and internationally traded services. My view (and hope) is that EI is sector agnostic i.e. if the business can meet the criteria in terms of employment potential then EI will engage, but obviously the perception is of a strong focus on technology – this is not unexpected given the scalability implied by the criteria. So every Spring, Enterprise Ireland have a HPSU Class with upwards of 100 companies who have been supported over the previous 12 months. This figure is increased by including CSF investments. Enterprise Ireland’s funding contribution for HPSUs is primarily in the form of equity towards the implementation of a business plan. I am big believer in business plans but I often warn entrepreneurs that what is written in a plan can take twice as long to achieve and cost twice as much. This begs the question as to whether HPSUs in general meet their targets. • The HPSU concept dates back to 1989 and between 1989 and 2013, EI had invested in approximately 1,100 companies. In the period 1989 to 2008, EI invested about €239 million in HPSUs and got back about €300 million. • According to its own estimates, about 20 per cent of HPSUs will close, 15 per cent will be taken over or sold and about 65 percent will survive. The article makes the point that ‘Enterprise Ireland appears to be beating the odds when it comes to picking winners – a record which is even more impressive given that it invests at a very early stage in companies’. I would certainly concur with this assessment. [At this juncture, I would like to remind readers (in case you didn’t know) that I do earn significant revenue from Enterprise Ireland both directly as a mentor and CSF evaluator and indirectly as a trainer on New Frontiers. I have met John O’Dea, Head of the HPSU Unit who is quoted in the Irish Times article. I would also know a lot of EI personnel in Dublin and the regional offices. As such, I may be biased but this is my honest opinion]. In April 2014, Forfas, Ireland’s policy advisory board for enterprise, trade, science, technology and innovation, published a very interesting report entitled, ‘Evaluation of Enterprise Supports for Start-Ups and Entrepreneurship’, which included an evaluation of Enterprise Ireland’s HPSU supports. The evaluation focused on HPSU programme entrants for the years 2004-2006 and considered the impacts over the period to 2010. As such this section of the report could be seen to be slightly dated but it is still a good baseline to have available, given that the impact of any investment programme will take several years to emerge. • Total turnover for all HPSU clients over the period 2004-2006 (regardless of which year they entered the “programme”) increased from €51.1m in 2004 to circa €256 million in 2010. Turnover per employee increased over the period 2004-2010 by 114.8%. • Exports as a percentage of sales increased from 32.6 per cent in 2004 to 79.8 per cent in 2010 – from €16.7m in 2004 to 204.2m in 2010. • Employment increased, in the 199 companies supported in the 3 year period, from 895 in 2004 to 2,086 in 2010. The point is made that a significant company started in 2004 with 114 employees and grew to 250 employed in 2005 and then ceased trading in 2006. My reading of Table 2.10 is that Yes indeed, HPSUs in those years did meet their targets of having 10 employees within 3 years. The performance of the 2005 and 2006 was not as strong as the 2004 group but there was an extreme case to explain the discrepancy. It is also good to see employment growing year on year on an average basis. So, turning to Turnover figures, did the companies in general reach the stated revenue milestones in the time prescribed. Page 41 details Firm Survival Rates. Of the 199 who came onto HPSU support between 2004 and 2006, 38 have ceased trading – a survival rate of 80.9 percent. Just under two fifths of the closures occurred in 2009 alone, a probable reflection of tougher external trading conditions. Companies who came on board in 2005 contributed to just under half of all closures. Tables 2.5 shows circa 61 million in Sales in 2007 collectively among the surviving 56 companies of the 2004 cohort (started with 61) by their fourth year. Assuming (a big assumption in fairness) that there are no big outliers with say €5million turnover each, it is fair to say that on average most of the HPSUs were close to reaching the benchmark €1 million figure. Table 2.6 shows circa €101 million in Sales in 2007 collectively among the surviving 62 companies in the 2005 cohort (started with 66) by their third year. I think it is fair to assume that on average most of the HPSUs had reached and exceeded the benchmark €1 million figure. It is interesting that this cohort seemed to have a high sales total collectively at the time of and even prior to the investment by EI (€17 million in 2004). Looking at the 2006 cohort as detailed in Table 2.7, in 2009 which is year 4, the surviving 65 companies (starting group numbered 71) only had €53 million turnover collectively. Extend the period a further year and the 64 surviving companies have achieved circa €64 million turnover. Given the economic circumstances an extra year to hit the targets seems reasonable. I enjoyed reading the Forfas report. In general, I am in favour of setting objectives, measuring outputs and evaluating returns so the report is very welcome [possible bias here as I do get paid for that type of work but I do think it is required by Ireland Inc.]. The HPSU section is very comprehensive in terms of data presented. It also contains some good recommendations.My wish for the next version of this report is that they specifically seek an answer to the question that this blogpost has raised – are the HPSU criteria relevant and appropriate as measured by what transpires later in the real world. The other thought that struck me while reading the report, was the level of knowledge across all sectors that is available within Enterprise Ireland both in terms of evaluating investment opportunities and supporting companies afterwards. The resource embodied by the personnel working for EI is in some senses a ‘double edged sword’. The ‘organisational memory’ is a key strength and must be safeguarded. Investment in human capital resources will be vital given the requirement to keep up to date with market trends and developments and to in fact be seen as leaders in their fields. Finally, on page 43 the report notes that ‘Technically, EU State aid regulations determine that an HPSU can be so treated for up to six years after hiring its first employee. My understanding is that as of 1st July 2014, the criteria is five years from date of incorporation. An interesting development! As always, I hope you enjoyed this post. For some reason, I have found myself writing several finance oriented posts, which is not normally my area of interest. I will now be reverting to more marketing, strategy, and lean startup focused topics! Comments welcome.